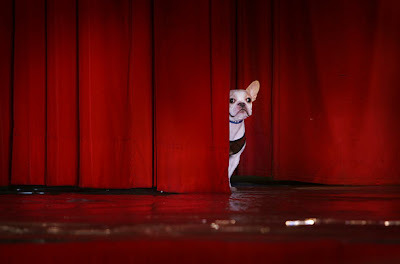 A French Bulldog peers out from behind the stage curtain before modeling in a dog fashion show in Taipei. Photo from Time, Today In Pictures. 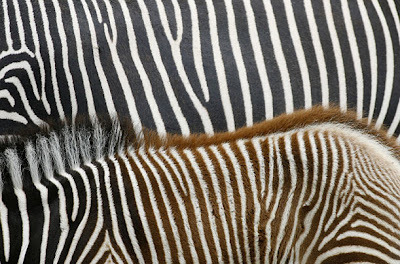 A young zebra stands next to her mother at the Berlin zoo. Photo from Time, Today In Pictures.